What is the connection between a popular hors d’oeuvres and this week’s Parsha? In modern Israeli Hebrew these are called “Moshe BaTeiva” – Moses in the Basket. she got a wicker basket for him and caulked it with bitumen and pitch. 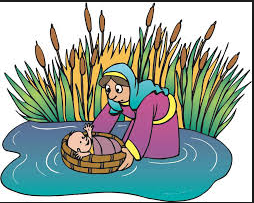 She put the child into it and placed it among the reeds by the bank of the Nile. A few weeks ago, I delivered a Dvar Torah the memory of the late Stan Lee, who created super hero comic book figures. In the 1930s, American Jews were forbidden to work in many industries. If you were a Jewish writer, you were not able to make a decent living in the big publishing houses or in the advertising world. But, the new and burgeoning comic book industry was wide open to talented Jews. Writers and illustrators, such as Joe Simon, Jacob Kirtzbard, Stanley Lieber, Jerry Siegel and Joe Schuster, who struggled daily to make a living, found their way into the world of the “illustrated novel”- Comics. Many scholars have suggested that Jewish writers and artists created their superheroes with Jewish characteristics. For example, “Superman” by Siegel and Schuster was a non- human “superhero” with a very personal Jewish story. 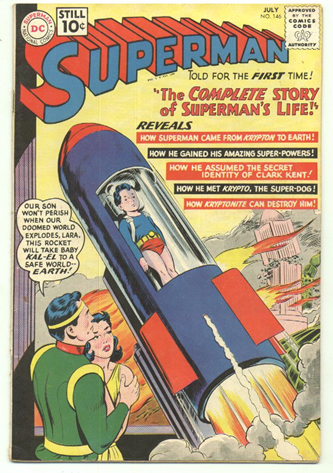 Like Moses, who was put in a basket and placed on the edge of the Nile between the reeds in order to save his life and who grew up to redeem the people of Israel, a small boy named Kal-El (the voice of God) from the fictional planet Krypton, was sent to Earth by his parents. There he grew up and dedicated himself to fighting evil, pursuing justice, and repairing the world. In 1940, before the US entered World War II, Superman fought the Nazis, and in 1941, months before the United States became an active participant in World War II, Stanley Lieber and Jacob Kirzberg (Stan Lee and Jack Kirby) published a comic book in which Captain America punched Hitler and knocked him off his feet. The Comic Book Industry, which was in Jewish hands, supported the US involvement in the war and maintained that America must fight the Nazi enemy and that it is forbidden to stand idly by. The early Comic book authors illustrators were Jewish educators who aspired to educate, to engage in Jewish values, i.e. the mitzvah of “do not stand idly by”, to pursue justice, to respect and accept others, to take responsibility for the wellbeing of others and to support equality- rights that the Jews weren’t always afforded.